If you love painting, 25th Street in Chelsea is the place to go. In one block between 10th and 11th there are four shows of sensual, masterful paintings. No Post Modern irony here — these are real painters' paintings. Joan Mitchell, Lennon Weinberg Gallery, 514 W. 25th Street (until April 18th). It’s fitting that Mitchell is the first show on the block because she and her fellow Abstract Expressionists in many ways advanced this type of painting. The paintings in this show are from the fifties, her first mature work, and they demonstrate what a true master of the gestural brush and lush color she was from the beginning. It’s hard to believe that this work, a visual delight today (to the degree that some even consider it suspiciously decorative), looked so raw and ugly when they were made. Elizabeth Murray, Painting in the Seventies, Pace Galley, 534 W. 25th Street (until April 30th). 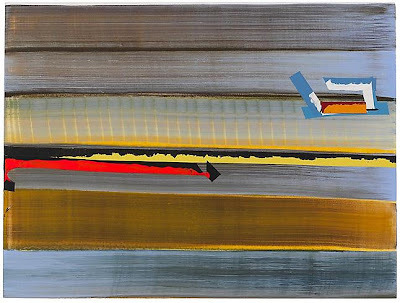 Elizabeth Murray, Parting and Together, 1978, oil on canvas, 111 x 39 in. 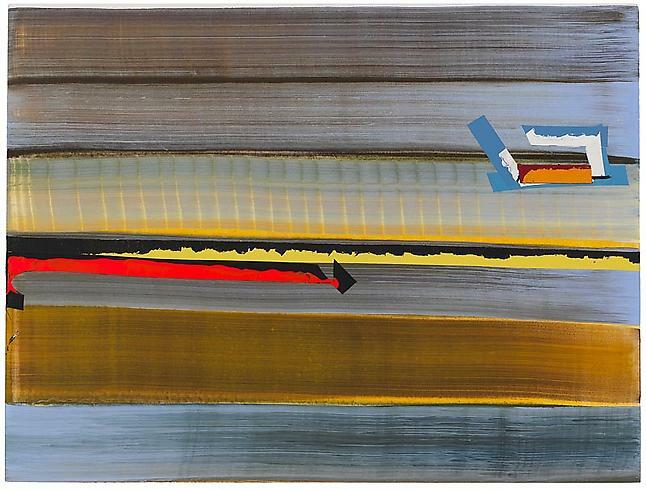 Murray achieves a nice balance between formal innovation and painterly sensuality in this period (the 1970s). Bulbous shapes push against and twist the edges of the paintings -- the elements in the paintings are so compressed that they fly apart. Lines playfully pass through shapes and in and out of space. Figure and ground are confounded. 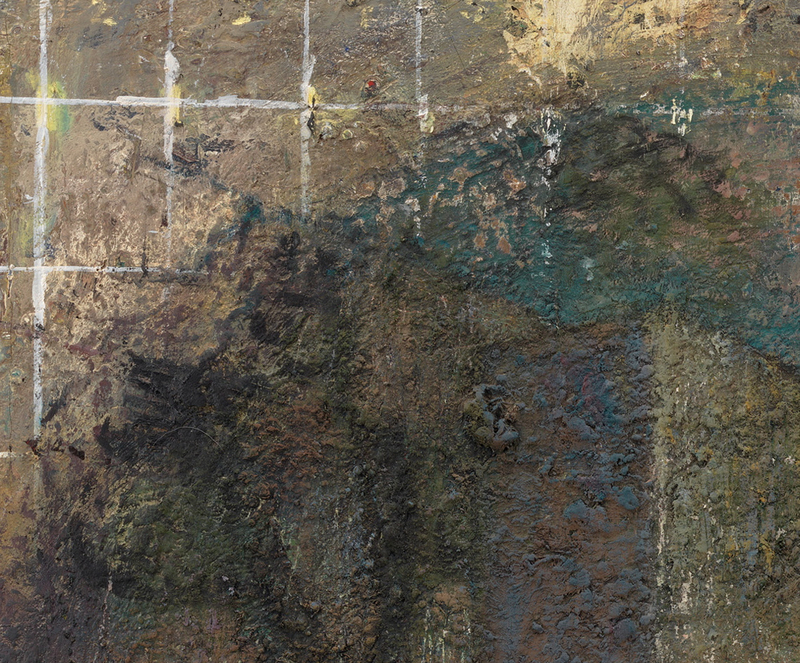 The green in Parting and Together, for example, especially at the corners of the painting, can be seen sometimes as foreground and sometimes background, somewhat reminiscent of the way Clyfford Still played with figure and ground. This is joyous, funny, sometimes silly painting, with a lot of fun surprises. Juan Usle, Cheim & Read, 547 W. 25th (until May 7th). Usle’s forte is brightly colored, open, airy and translucent paintings. 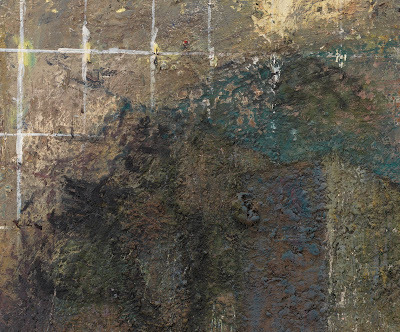 His work avoids the decorative because there’s always some discordant element -- an unexpected quirky image or configuration that’s a visual contradiction. 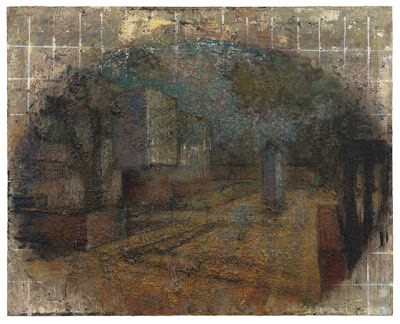 John Lees, Betty Cuningham Gallery, 541 W. 25th Street (until May 14th). Like Charles Garabedian, John is a friend, but I honestly believe that has little to do with why I love his paintings. Perhaps I've paid more attention to his work over the years than I would ordinarily have done, and that may have predisposed me somewhat. But I've known an awful lot of artists in my 67 years, and I don’t feel this way about very many of them. The more you look at one of his paintings, the more detail you see. Things become more three-dimensional and rounded; colors glow and become brighter. And because he works on a painting for years (Bathtub is dated 1972-2010! ), the surface is built up so thick that strange things happen with space. The built-up paint sometimes acts like bas relief reinforcing the spacial illusion; other times it plays against the illusion (see detail of Courtyard, for example). You need to downshift to get into Lee’s world -- these are slow, intimate paintings you can savor. James Siena in Pace's other 25th Street space, 510 W 25th Street, doesn't quite fit here because, IMO, his work is more conceptual and minimal than what I understand to be painterly painting. Some will disagree. Decide for yourselves — it’s on the same block. Thanks for the tour of 25th Street. You know I'm a big fan of Elizabeth Murray's work so I agree with you there. I'm going back to see John Lees work because my first impression was not as positive as I had thought it would be. I felt that the subject matter was a bit contrived but now reading your post, I'm not sure. You've opened it up for me and I need to take my time seeing the show again. Knowing John as well as I do I can say that his subject matter is so John that it's almost a joke. John lives in the 1940s. That's good to know. Interesting--it's his imagination, but it's also a reality for him. wow..Its amazing art work.This paintings are giving some great imagination over it.Thanks for this great blog.